Remember how you swore geometry was one of those useless subjects you would never revisit after high school? It turns out the triangle comes in pretty handy when designing kitchens that offer a streamlined workflow. 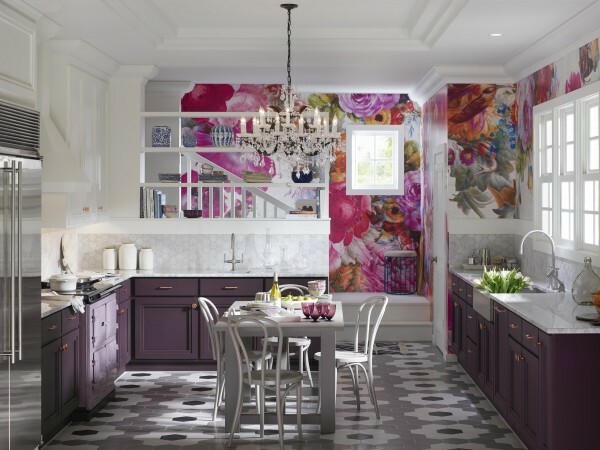 No matter what shape your kitchen is in—whether your floor plan is U-shaped, L-shaped, or otherwise—chances are there is a triangle at its heart. And if not, there should be. If you add up the primary work areas of your kitchen, or any kitchen for that matter, the final count is most likely three: the refrigerator, the sink, and the stove. Now think about how you work between those areas to prepare meals: food taken from the fridge is typically prepared near the sink and transferred to the stovetop or oven. Cleanup happens in reverse. The triangle is the shortest, most effective path to tread between these three areas and what you should aim to have in your kitchen. 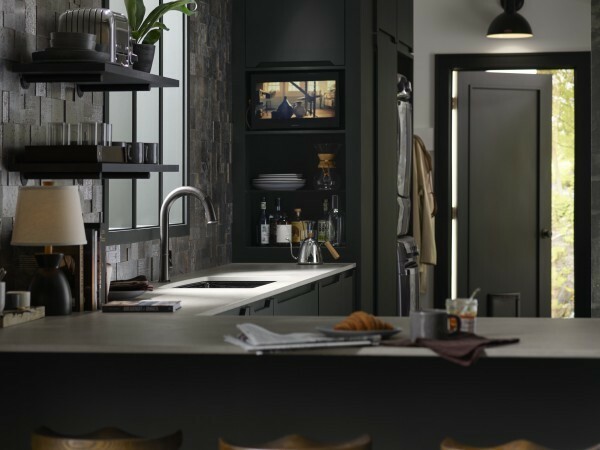 Thoughtful consideration of who moves through your kitchen, when, and why, can lead you to a smarter plan at the outset. Carefully choosing where the three points of your triangle are situated can be the key to avoiding years of colliding with someone rummaging for milk and cereal while you’re trying to prep a brisket. A perfect work triangle in the kitchen allows you to move unimpeded between the three key areas, so for example, you won’t need to navigate around garbage cans or chairs while carrying a heavy pot of boiling water. The work triangle also gives you enough room to avoid bumping elbows with your cooking partner. Ideally, each leg of the work triangle should measure between 4 and 9 feet in length. The total length of all three legs should be between 12 and 26 feet. 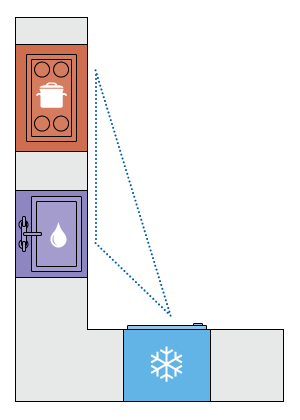 Find your kitchen floorplan below and discover where the triangle is situated. 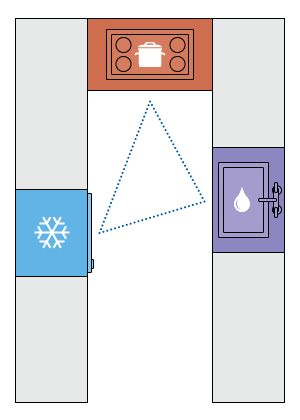 Understanding the location of your kitchen’s work triangle can help you keep the path open and move more efficiently from one area to the next. The u-shape has an efficient triangular pathway with ample counter areas to keep food prep, plating and cleanup separate. 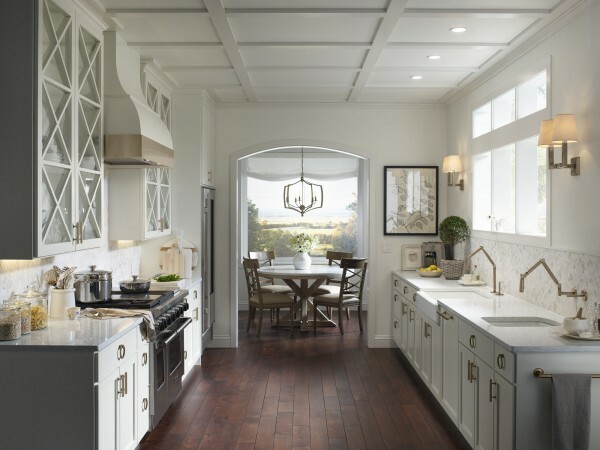 However, there’s a good chance that if you have a u-shaped kitchen, you may have an island or dining table right in the middle of your triangle. While either one offers added workspace, consider how it affects the triangle and overall efficiency. 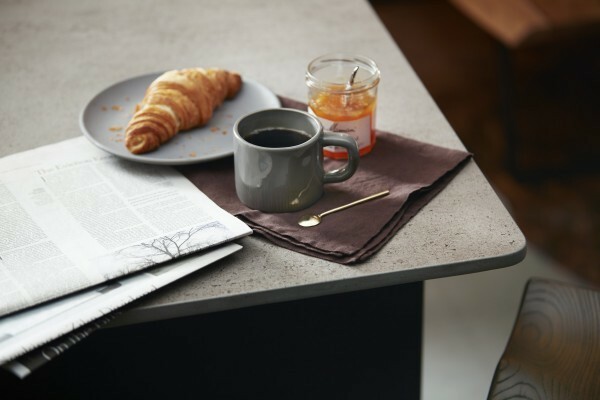 It may be beneficial to orient the table so it doesn’t obstruct the triangle or to add a cooktop or sink to the island, creating a smaller but more effective triangle. 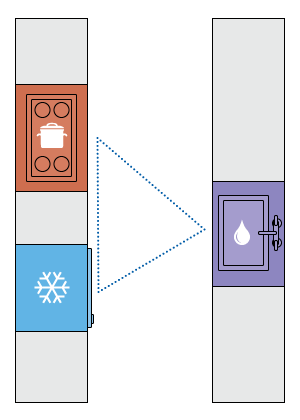 The l-shaped kitchen ideally has either the refrigerator on one wall with the sink and stove on another, or the stove on one wall with the sink and refrigerator on the other. 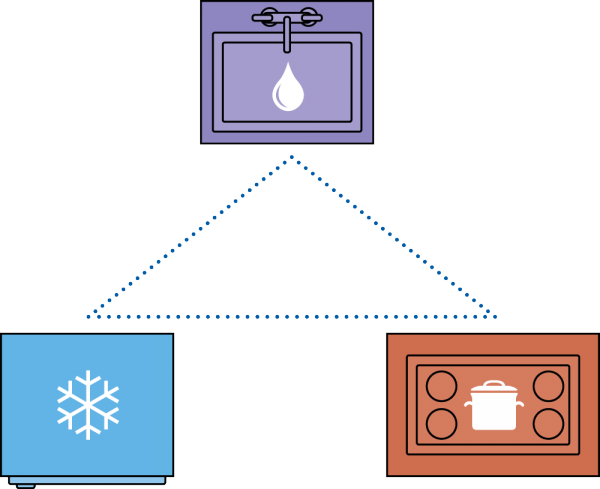 Keeping the sink located between the stove and refrigerator will help you work efficiently. The sink becomes the hub of prep and cleanup, and the stove and fridge act as satellite workstations. The key here is ensuring that you have counter space on either side of the sink for staging prep and cleanup. Galley kitchens typically have a more compact triangular pathway. They’re great for the solo chef to move quickly between each area. With a narrow walkway between each side of the galley, moving back and forth from side-to-side shouldn’t require more than a step or two, so energy isn’t wasted. 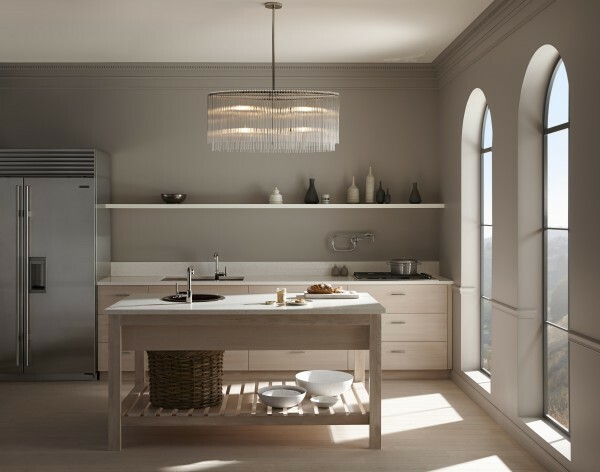 If your existing kitchen doesn’t have a work triangle, for example a one-wall kitchen where your refrigerator, sink and stovetop are in a straight line, there are simple ways to make your workspace more efficient. Adding a second sink requires a somewhat larger investment, but doubling your functionality is the payoff. If you have ample counter space, you might consider a full second sink to accommodate a second cook. 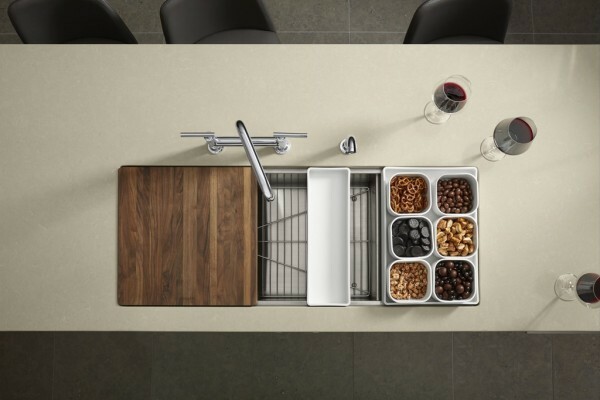 If your space is slightly smaller, however, a prep or bar sink can deliver additional workspace for washing and chopping foods or mixing drinks. Browse prep/bar sinks. Evaluate the basics: Is the sink in the middle and do you have counter space between each. If the sink isn’t in the middle or conveniently located near the faucet, you might consider adding a pot filler to the stove area. A pot filler allows you to fill a pot at the stove and cuts down on some of cooking’s heavy lifting. Explore pot fillers. If a pot filler isn’t a viable option, a pullout or pull-down faucet lets you fill pots, pitchers, coffee makers and more without having to maneuver them into the sink. If the pot doesn’t come to the faucet, the faucet will come to it. Browse pullout and pull-down faucets. If a lack of counter space between the three points of your triangle is an issue, moving some of that work to the sink itself can alleviate the issue. A sink with built-in stackable accessories, like a cutting board, colander and trays, will give you more space to work between each area, keeping food prep separate and sanitary. Explore sinks with accessories. So, your math teacher was right after all; math really is for everyone. 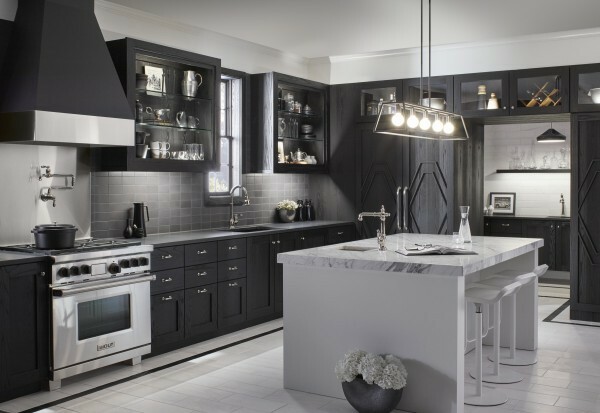 It doesn’t matter if your style is rustic farmhouse or modern minimalism, designing around the work triangle will make life in the kitchen more streamlined and more enjoyable. See how these work triangles come to life in actual kitchens.